How to get the most out of being on the road. EXERCISE ROUTINE Find a way to sweat on tour, whether it’s hotel room yoga, amp curls, or jump rope sessions with a microphone cord. PLAN AHEAD Food is fuel, and bad fuel will just slow you down. Remember to take care of your body and nutrition on tour. KEEP A LIST Failing to prepare is preparing to fail. 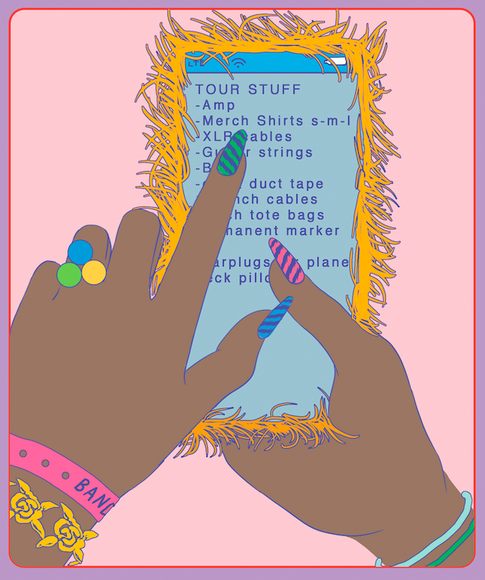 Keep a checklist of your most important items handy so you don’t forget them pre or post-gig. 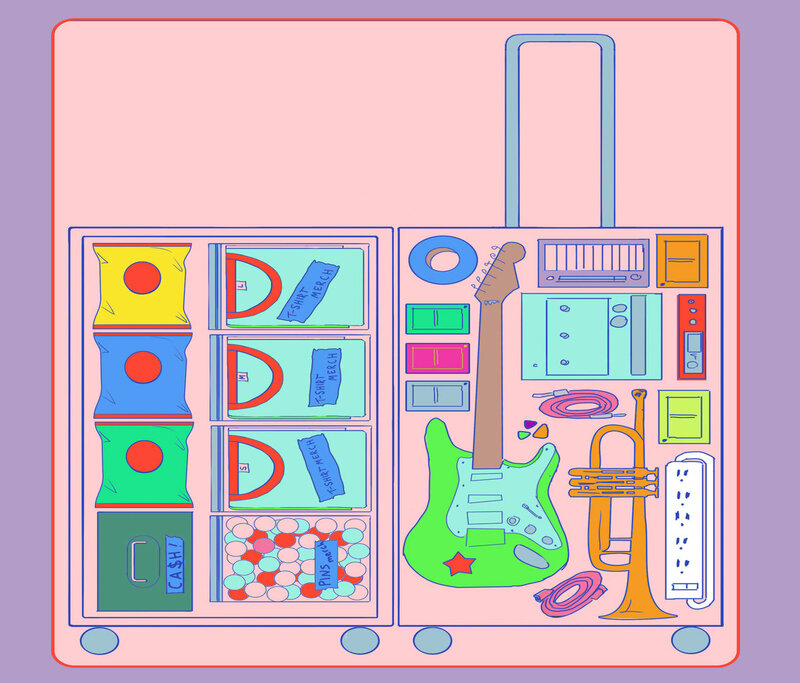 GET ORGANIZED Pack your effects, cables, smaller instruments, and accessories in a simple, easy-to-remember layout so you can make airport security a breeze. 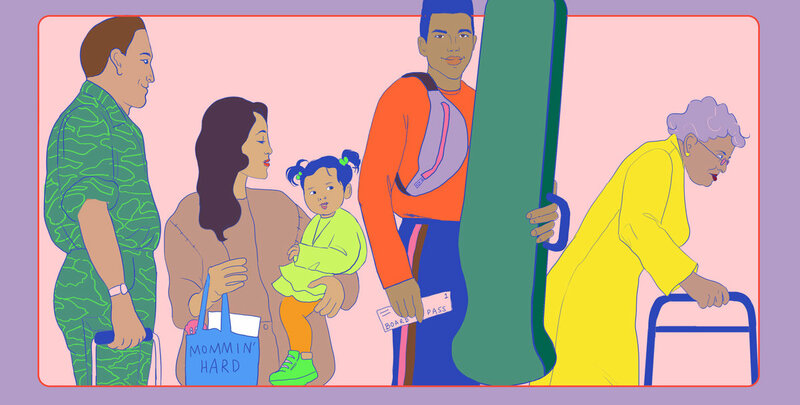 KNOW BEFORE YOU BOARD Ask to pre-board if you have a big instrument. Also, remember to ask about storing your gear in a plane’s coat closet to avoid checking it. GRIND FROM 30,000 FEET Catch up on overdue emails, prep your backing tracks, arrange your recording files, even write scratch tracks in the air. BE COURTEOUS, BE KIND Get to soundcheck early and be courteous (read: quiet) when others are soundchecking. Also be nice to your sound person and address them by name. BE FAST The faster you load on and off the stage, the faster you'll get to feel confident, like a well-oiled machine. Plus, you get to maximize you time on-stage performing. DON'T WEAR OUT YOUR WELCOME Your performance is just as important as your graceful exit. Load out quickly, don't interrupt other artists' set, and don't be rude.